I really did copy these butterflies from a coloring book and also colored them using the computer. How do I submit these drawings I do for children's books if I decide to do that on the computer??? You said that these drawing of butterflies had a potential for children's books. I was wondering how I would go about doing that? Join in and write your own page! It's easy to do. How? 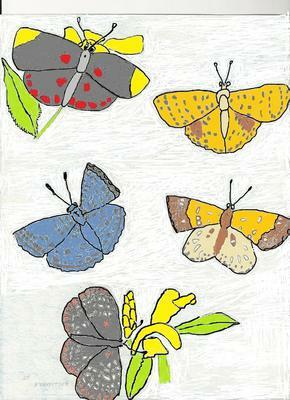 Simply click here to return to Your Butterfly Drawings.